These are the last words in Voltaire’s Candide and very apropos to where I am in my life. This last year has been really rough and I was forced to question life in ways I had never had to before. At the time it all seemed very unfair and I wondered why there were so many horrible things happening to such good people. What about karma?! What about fairness? Well, it turns out things don’t quite work that way. Like Candide I had to drop what I thought I knew about the world and face reality and it turned out to be a fruitful endeavor. Bad things happen to good people, life is an endless struggle, and money can’t fix everything, but by cultivating our interests and passions we can at least buffer ourselves from inevitable suffering. Attaining happiness and well-being is a much more practical process than I had originally thought! 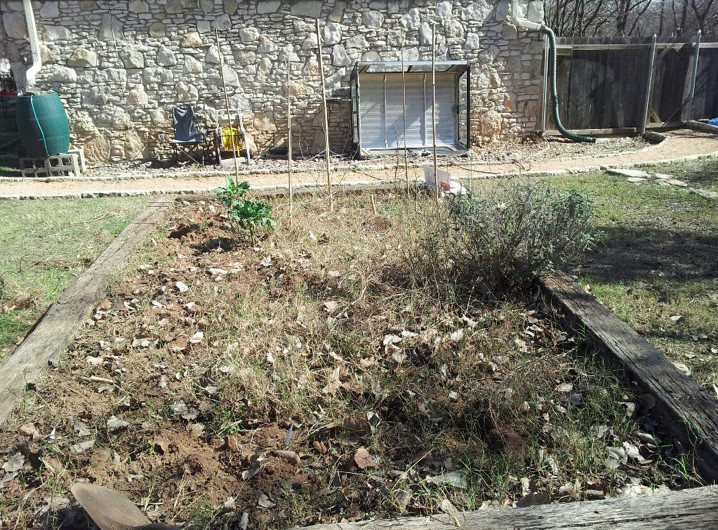 One of my interests does happen to be gardening which is why I love this metaphor so much and now that spring has pretty much arrived in Central Texas I am excited to be able to practice it again. It is one of the best ways to combat colonization in my own kitchen and there is something invigorating about manual labor. I am lucky to live in a tri-plex that came with a large garden plot, rain barrel, and plenty of space for composting. I am blessed to have such wonderful roommates and neighbors to share in the work and harvest. 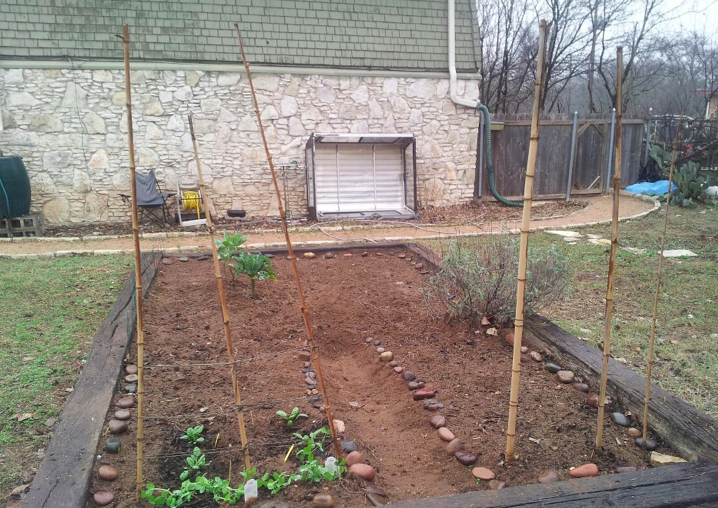 So over the course of about a week we prepped and planted our spring garden. It took that long because we are all very busy, some of us are juggling multiple jobs and projects, but we agreed that it was worth the time and effort. I am also happy to report that thanks to homemade compost and some seed hoarding we were able to get everything done for under $25! If everything takes then we will be getting much more than we put into it. We planted: spinach, peas, zinnias, echinacea, broccoli, cauliflower, cabbage, garlic, collards, parsley, cilantro, sage, and onions. The key to organic gardening is definately diversity which I think we got covered. I encourage everyone to cultivate their garden with whatever gets you going. If you think one of your passions could be gardening then give it a shot! My advice to you would be to do some research, talk to experienced gardeners (a community garden is a great place to start), and most importantly, don’t get discouraged. At this point I have killed way more plants than I have kept alive, but every harvest has been better than the last.